Northern Region reggae star REDfyah shows serious concern about the recurring chieftaincy disputes among the royals of Gonjaland, his birthplace. The calm-loving singer has expressed his insistence on unity in a new peace piece he calls "Jintilpe". The Vagla word "Jintilpe" translates in English as Hill Village.... and it comes out with very strong and commanding lines that seek to gather all of Gonjaland under one umbrella to build a perfect communal spirit in oneness for massive development. REDfyah explained that he chose the title "Jintilpe" to cast the minds of the Gonjaland people back to the aftermath of a historic brute dispute that resulted in the death of many. This referenced dispute reduced the population through a dark period of merciless killings of over a thousand lives. REDfyah is, therefore, pleading with his people to not repeat this history that happens in Jintilpe, a village in Bole. 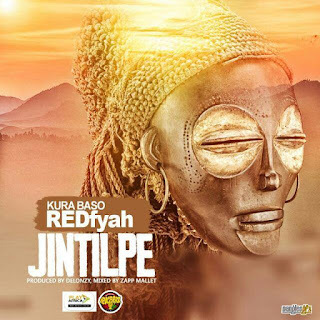 "Jintilpe" will be premiered on Nkiligi 103.7 fm in Bole on Saturday 23 June 2018 on the Rap City show hosted by DJ B.I.G.